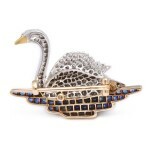 Pavé diamond swan brooch set in platinum and gold swimming on a pond of calibré cut sapphires. 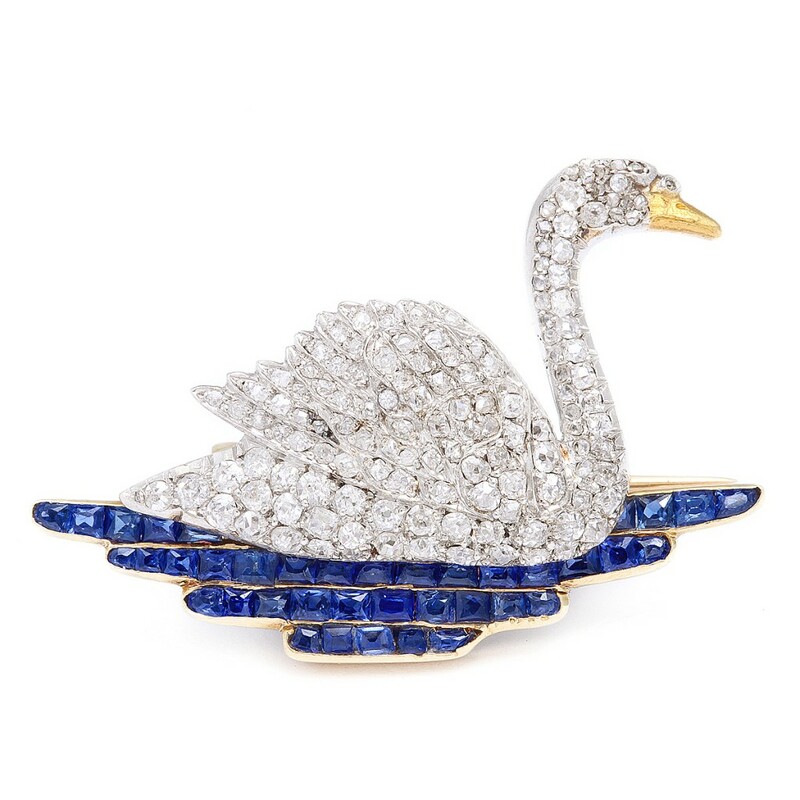 The French firm Hartz developed a reputation for jewelry designs featuring animals and mythological creatures. 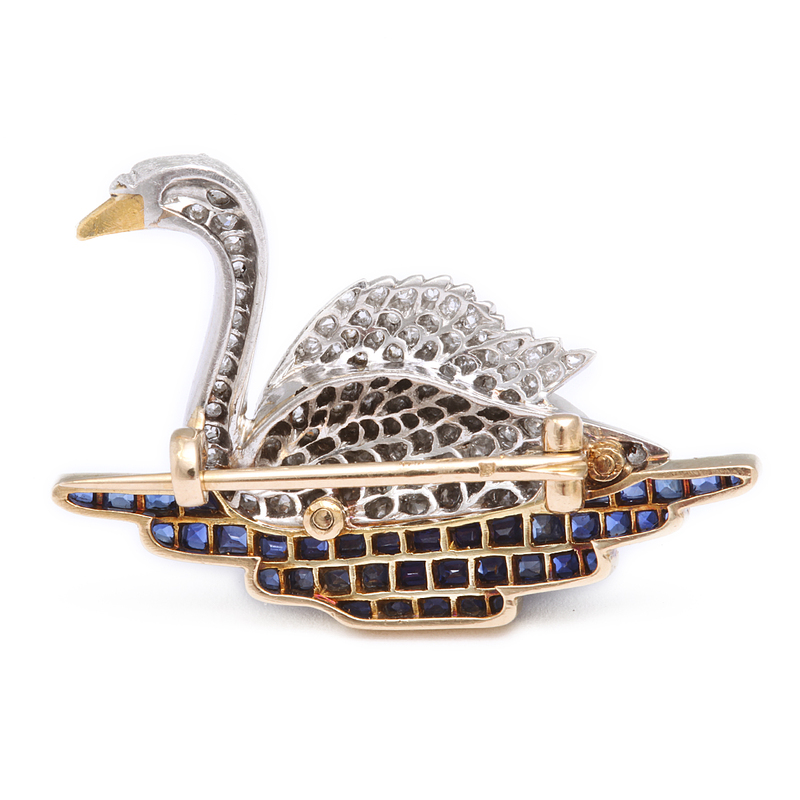 Swimming on a pond of sapphires, this swan brooch features the kind of playfulness associated with Hartz.